Fundamental frameworks for emotional intelligence and how to apply them every day. According to research by Daniel Goleman, emotional intelligence has proved to be twice as important as other competencies in determining outstanding leadership. It is now one of the crucial criteria in hiring and promotion processes, performance evaluations, and professional development courses. And it's not innate--it's a skill that all of us can improve. 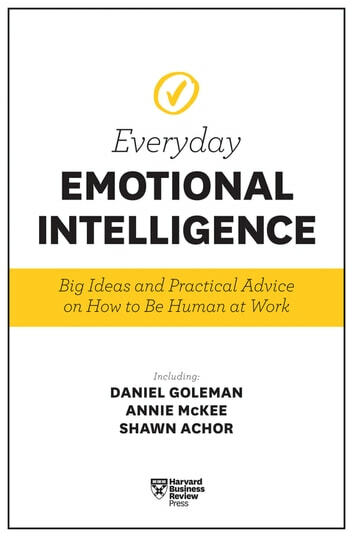 With this double volume you'll get HBR's 10 Must Reads on Emotional Intelligence and the HBR Guide to Emotional Intelligence. 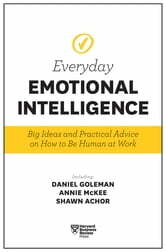 That's 10 definitive HBR articles on emotional intelligence by Goleman and other leaders in the field, curated by our editors--paired with smart, focused advice from HBR experts about how to implement those ideas in your daily work life.